Although many online casinos would like to see the opposite, it’s not often a new brand is added to our list of reliable NetEnt Casinos. We like to keep the list exclusive and only those brands we think are really adding to the player’s casino experience find their way to the list. Spintastic is the latest addition and the main reason this brand was added has everything to do with their focus on video slot fans while the NetEnt slots are in the spotlights. Spintastic clearly has a focus on video slots. I can’t even blame them as the majority of the players love to play video slots. They keep on winning in popularity which isn’t a surprise with the ongoing video slot revolution. It all started with the classic slots often enriched with a 3×3 layout, but the online casino era brought the 5×3 video slots into the spotlights. It almost looks like things got out of hand with all the special slot features and bonus games created by developers like NetEnt. Video slots are slowly becoming games and many NetEnt slots don’t even depend on a 5×3 layout anymore. 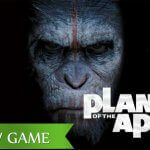 Take the Planet of the Apes™ slot, for example, which was recently released by NetEnt. This game brings you the Dual Reels in which you’ll find two 5×3 slots next to each other, Rise and Dawn. Two video slots in one video slot, that’s why I call it the video slot revolution. 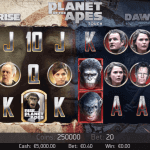 And that’s just the start as Planet of the Apes™, besides the two play areas, also features Rise and Dawn Free Spins, Bonus symbols, Scatter symbols, Wild substitutions, a Stacked Wild feature, a Dual feature, and the Rise and Dawn Bonus features. Next week, the Finn and the Swirly Spin™ slot will be released by NetEnt, another example of a modern video slot game. And I mention the word game because no reels will be available. Like that we can hardly call it a video slot, right, except that players will benefit from slot features like the Wild Symbol, a Free Spins Key, 4 different types of Free Spins, and a Random Feature with 4 variations. This is why I totally understand why a NetEnt Casino is concentrating on the video slots, having a focus on those players who enjoy video slots, no matter if with a 3×3, a 5×3 layout or a game type of video slot. Spintastic has all forms of video slots available offering the entire NetEnt games suite while the Novomatic slots are available as well. This brings you a nice mix of classic slots, modern video slots and video slots as seen in the brick and mortar casinos where Novomatic has their roots. 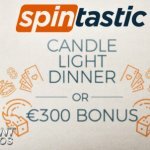 Built with simplicity in mind, Spintastic is one of the most user-friendly platforms available on NetentCasinos.com. The categories available on this casino platform involves video slots and table games, nothing more than that. You won’t be lost ending up in between some live dealers and no bingo balls will fly around your ears. Browing through the games all you’ll find is video slots, roulette and blackjack. The categories you can choose from are “For You”, Top Games, Slots, Jackpots, Blackjack, Roulette, and All Games which makes it easier to find your favourite games. The search option can bring you straight to your favourite NetEnt slot as well. With only two slot suppliers chosen by Spintastic, it’s pretty easy to find the NetEnt Games. 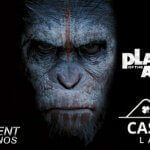 This can’t be said about most of the NetEnt Casinos of which some offer over 700 games. For a true NetEnt fan like you and me, I really do believe Spintastic is fantastic! That’s not all that’s great about this new NetEnt Casino, though, as the platform is available in four languages including English, German, Swedish, and Norwegian. If not from Germany, Sweden or Norway, the English platform will do. Together with a wide range of languages, you can also expect a great variety of payment options including Paypal, Neteller, Skrill, Visa, Mastercard, Paysafecard and more. There’s no doubt that NetEnt fans will feel at home at Spintastic, especially when receiving a very warm welcome offer. The “Spinners” among you will be very pleased with 20 free spins for the Starburst™ slot upon registration. 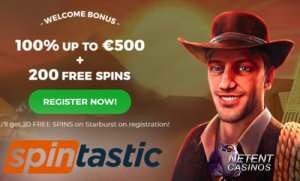 Another 180 free spins will be awarded after you made your first deposit at Spintastic while an amazing welcome bonus of 100% up to €500 is making your welcome even warmer. 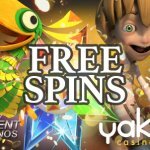 If you’re one of those video slot fans looking for fair bonuses and free spins promotions, Spintastic might be the new place to be. Spintastic seems to understand a player like you, your love for the video slots and the promotions involved. They know what “spinners” are looking for in an online casino and Spintastic’s mission is to make you “spinners” feel at home while sharing the love for video slots.